We have been lucky enough to have participated in companies and business projects in various sectors and phases of their history: large and small, listed and family, national and international. He began his professional activity in 1986 in the financial department of the engineering company Técnicas Reunidas. That same year, he joined Finanbao, a financial institution of Banco Bilbao Vizcaya, in the commercial management team. He remained there until 1990. In the following years, he developed activities as an independent consultant in the area of marketing for different brands. In 1994, he began his activity as a Director in the consulting firm Eurocofín, specialised in Corporate and Financial Communication-Marketing. During this period, he was responsible for the main initial public offering (IPO) operations, advising SEPI, Sociedad Estatal de Participaciones Industriales (Ministry of Industry), and SEPPA, Sociedad Estatal de Participaciones Patrimoniales (Ministry of Economy). The most notable projects that he was involved with were the reorganisation of the steel sector and the IPO of Aceralia (1997), and the IPO of Argentaria (1997) and Tabacalera (1998). In addition, he collaborated in different IPOs of companies such as Endesa and Telefónica, and carried out the preparations for the IPO of the transport company Azkar. During this period he also advised financial institutions (Barclays Bank, BZW, Salomon Brothers, Credit Suisse, UBS and BSCH among others), and industrial and consumer companies (OHL, Mothercare, Davidoff, etc.). In 1998, he joined Inditex as General Manager of Communication and Institutional Relations of the Group, participating in the organisation and transformation of the company for its development and international expansion. 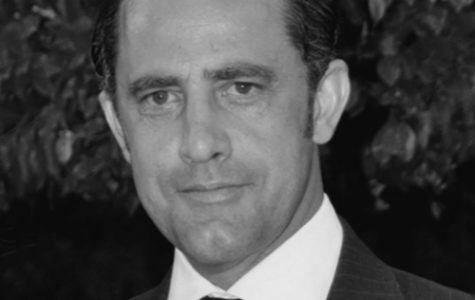 During this period, he was responsible for the corporate marketing strategy of the group, the international positioning of Inditex, the launch of new brands, the implementation of the CSR, Brand and Reputation areas, etc. He also participated intensely and was part of the management team responsible for the Company’s preparation and IPO process, which took place in 2001. From the early days of his work on the markets, he was a member of the road show team, maintaining contacts with analysts and investors in the main international financial markets. In 2006, he joined El Corte Inglés as General Manager of Communication and External Relations of the Group. Until 2016, when he left the company, he had responsibilities in the areas of Communication, Brand and Reputation, Advertising and Media, Corporate Marketing and Sponsorship, among others. He has a degree in Business Studies from the University of Extremadura, an Advanced Technical Degree in Administration and Finance from CEU San Pablo, a Master’s in Marketing Management from AEDEM-George Mason University, and an Executive qualification from Deusto Business School of Venture Capital and Business Angels. He is also a graduate and member of the Institute of Advisers and Administrators (IC-A), Council member of the Gerson Lehrman Group (GLG), and member of the Board of Directors of DIRCOM.